fashion, beauty, entertainment, technology and wellness! Please RSVP for each event. Space is limited and offered on a first-come, first-served basis. At sundays, you never have to sacrifice health for beauty. Enjoy non-toxic nail art or a wellness 2 in 1 manicure meditation to keep you looking beautiful inside and out. JUS by Julie will be parked outside of the Next Big Thing pop up offering complimentary juices and salads. The Headshot Truck is an all-inclusive mobile photography studio. They'll be providing 5-7 minute corporate headshot sessions resulting in 20-40 digital images. All images will be delivered via email within 5 business days. On the Awakening Path with Alyson Charles aka RockStar Shaman: a guided jungle journey w/ powerful, sacred essences & answers from your animal totem. INDAY to make customized bites for everyone post-journey. Rashia Bell, Co-founder of THE CRISTALLINE, will be leading an introduction to crystals and crystal healing to show how to balance the energetic body through the use of crystals. In collaboration with an on-site artist, Rebecca Minkoff will be offering complimentary bag painting with the purchase of her signature Leo clutch. SNAP, PRINT, SELFFEE. Your image printed on cookies! Eat your face? Take a selfie on the spot and get a Selffee Cookie. Higher Dose will be hosting an LED Light Therapy session to deepen your healing. All of thier saunas include medical grade Chromotherapy lighting. With 96 LED lights, auto color change mode and intensity controls, you will receive the maximum benefit. Book a private styling consultation in store with a stylist or via the FREE Next Big Thing app. Jordan Kopstein is a host of exceptional ability. Studies show that a vast majority of guests attending events by Jordan have been known to leave more elated than visitors to Santa's Workshop, The Lost of Continent of Atlantis, and the Fountain of Youth. Mastercard International Incorporated and its affiliates (collectively, "Mastercard") respect your privacy. This Privacy Notice describes the types of personal information we collect through our New York City based Marie Claire The Next Big Thing Concept Shop presented by Mastercard (“Concept Shop”), how we use the information, with whom we share it, and the choices you can make about our use of the information. We also describe the measures we take to protect the security of the information and how you can contact us about our privacy practices. Mastercard entities responsible for the collection and use of your personal information for the purposes described in this Privacy Notice are indicated in the How to Contact Us section of this document. Other information (such as shopping behavior and preferences, language preference, age, date of birth, gender and family status), Location Information: We may collect information about your location when your device is set to provide location information. 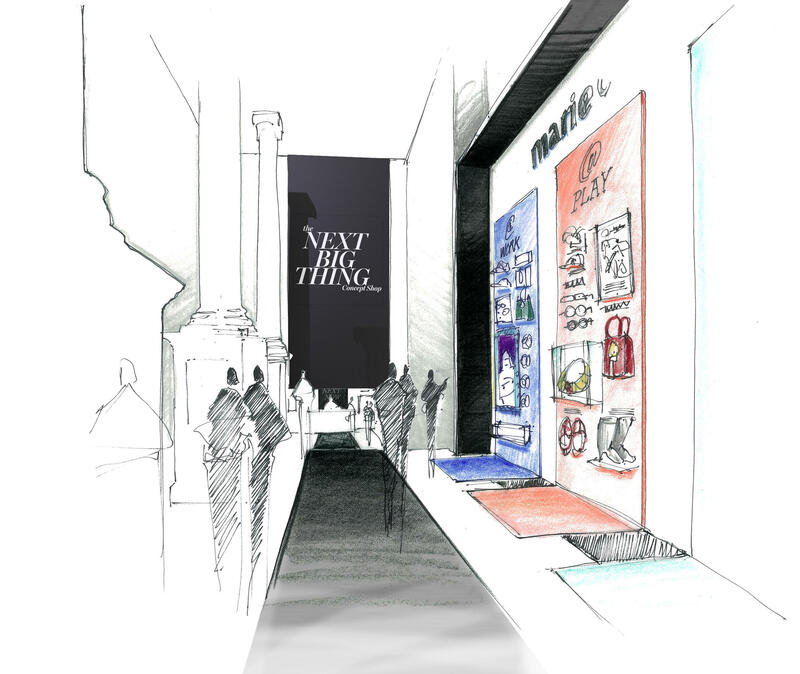 For example, we may be able to recognize the location of a mobile device in the Marie Claire The Next Big Thing Concept Shop presented by Mastercard through mobile services such as GPS, Wi-Fi and Bluetooth technology. See “What Are Your Choices?” below for more information. , Cameras and other sensors: We operate cameras and other sensors in the Marie Claire The Next Big Thing Concept Shop presented by Mastercard location for security and operational purposes, for example, to help us improve the design of our stores to better serve our customers and customize your experience.